It’s my great pleasure today to welcome fellow Crooked Cat author and historical novelist Cathie Dunn to the chaise longue. She’s a versatile writer, who has written about different periods and places in history. She’s also very fond of cats, so Felix is in his element. Cathie: Hello Vanessa. First of all, thank you so much for hosting me today. I’ve enjoyed answering your questions very much. Vanessa: It’s a pleasure. What kind of books do you like to read? You describe yourself on your Amazon author page as a ‘hobby historian’. What does that mean? I love history books! I have so many of them (in English, French and German) and never find them boring. On the contrary – I sometimes come across an event I’d never heard of but which fits nicely into my plot. I love it when that happens. I always look out for small books or booklets by local historians, such as the ones I picked up in Ballachulish, Highlands about history in that area: smuggling, cattle-rustling, etc; or the one I found in a bookshop in Argentan, Normandy, entitled ‘Dames du XIIe siècle’. Those are the real gems! My favourite eras are medieval (England, Scotland, France) and Jacobite (Scotland), but I’d also love to explore further the Italian renaissance, the French reformation and medieval Germany (or, as much of it was then, the Holy Roman Empire). Sometimes, you have to take history with a pinch of salt, as the winners tend to be the ones that (re-)write history – and, as a historian, you should keep a critical eye on everything. I must add that I’m not too keen on more recent history books which are often written in an ‘adventure’ style, just like history TV programmes now all feature re-enactment action. In my view, this dilutes the actual history, which, in itself, is fascinating enough. But if it helps new generations gain a glimpse of the past, I’m still happy. Vanessa: I’m also a great history fan. In fact, I think I become more so the older I get. Your novels range from 1140s England and Normandy, to 1720s Scotland, to Victorian Cornwall. What inspired you to write about these different periods and locations and do you find it difficult to switch between periods of history? For me, it’s not difficult at all. I have different history books about each period, and dive into the relevant research as I write. I gained some in-depth knowledge about medieval life when I joined a medieval re-enactment group when I lived in south Wales. Not only was this educational (I was good at archery! ), but also great fun, staying overnight in tents within castles such as Pembroke, Caerphilly and Beaumaris. 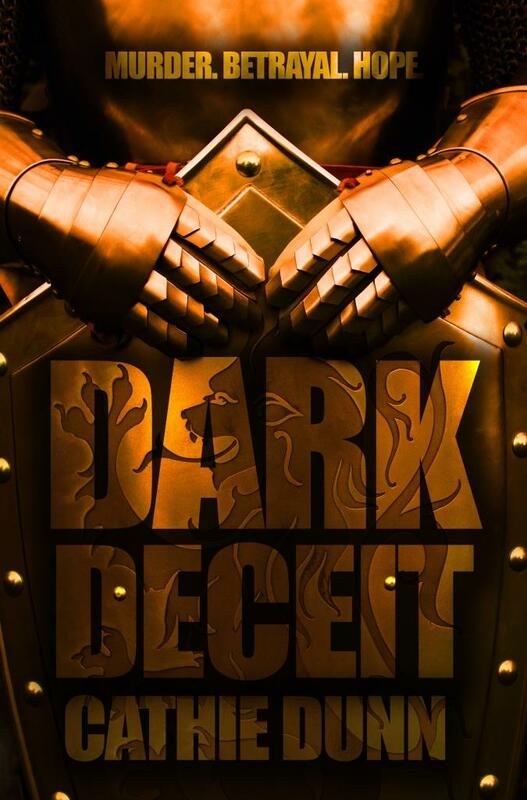 It was a hugely inspiring time – and so Dark Deceit was born. You grew up in Germany but you have lived in Scotland for some years and write in English. What challenges do you experience as an ‘ex-pat’ author? I don’t see myself as an ‘ex-pat’ author, really. Although I still hold a German passport, I consider myself a European (nothing to do with politics at all). I could easily feel at home in England, France or Italy, and one day I might move again. In my late teens, I studied to become a certified English translator, which provided me with a solid grounding in the language as regards grammar, spelling and the use of business English, but even when I moved to England in 1997, there were huge gaps in my knowledge of the daily use of the language. After 18 years in the UK, I’m now doing just fine. As it was, I began to write stories in English in my teens. Looking back at those notes (yes, I still have them), I cringe. But they were a start. I currently work on a romantic adventure set in medieval Scotland during the Wars of Independence, tentatively called Highland Escape. It carries a similar theme to Highland Arms –politics, betrayal and love – but this time a few hundred years earlier in time. 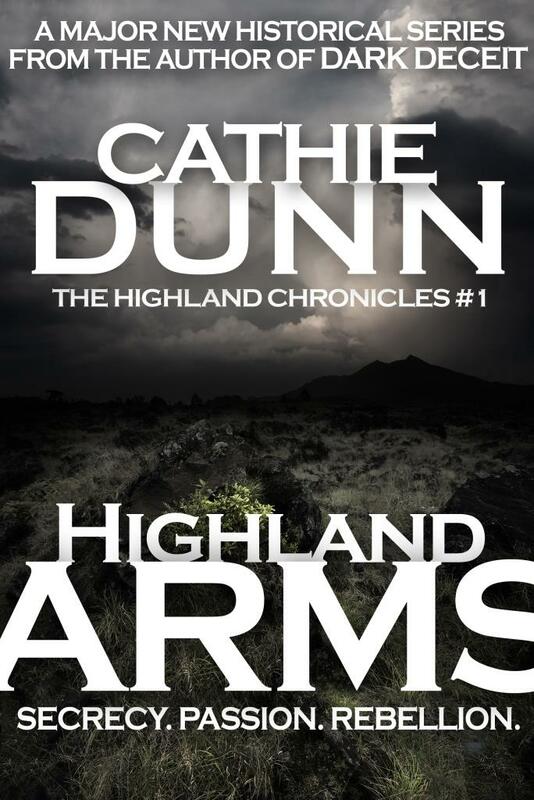 This will be the second in my Highland Chronicles series (of which Highland Arms is the first). I have also started a contemporary romance set in rural Idaho, US (which I visited in 2010). However, despite knowing all the mod cons my characters can use, I find it more difficult to think in a modern way. Therefore, this manuscript will remain in the drawer for a while, and my plan is to start another historical after completing Highland Escape. I think the nicest thing that’s happened is the number of lovely author friends I’ve made since I began to write and research seriously (around 2007). The network of author friends is so important in a ‘job’ that is usually regarded as solitary, and the warmth and support (which should always go both ways) is incredible. The funniest thing is something called ‘six degrees of separation’. Thanks to social media, I found author friends through groups who, as it later turned out, know some of my non-author friends, and not just in the UK. The world is small. But the cherry on the cake has to be your readers telling you how much they’ve enjoyed your book. That makes it all worthwhile. I know you’re learning French – and doing very well at it. What do you intend to do with it? I’ve always loved the French language and culture. When I was young, my mother and I used to nip across the border for day trips or holidays, so I became quite familiar with the country. Vanessa: Well I’m rather fond of SW France where I live. And Corsica, of course, although I don’t think I’d choose to live there. What’s your favourite Scottish dish? And don’t say haggis with tatties and neeps! And are there dishes you miss from your German upbringing? Ahhh, a tricky one. I do indeed like haggis, especially the veggie version, but I don’t eat neeps. What I tend to enjoy in specific places is venison or wild boar. It has to be local, though. And a cranachan is a yummy if very filling dessert! Luckily, most German foods and beers (not wines!) are now available in the UK, partly due to stores like Lidl and Aldi. But I miss some regional specialities, such as Schupfnudeln or Maultaschen. I tend to bring a few packs with me after visits! Thank you again for having me here. Vanessa: I’m very partial to game, although it’s not that easy to come by in the shops, despite France being the world capital of hunting! Thanks for visiting, Cathie. She’s also on Pinterest, Goodreads and Google+. Next week, look out for author Laura Huntley, who has agreed to dress up as an Easter Bunny since it’s Good Friday. No, not really. But she will be celebrating the launch of her novel, Black Eyed Boy. And chocolate is definitely on the menu. Copyright © Vanessa Couchman, Cathie Dunn 2015. All rights reserved. 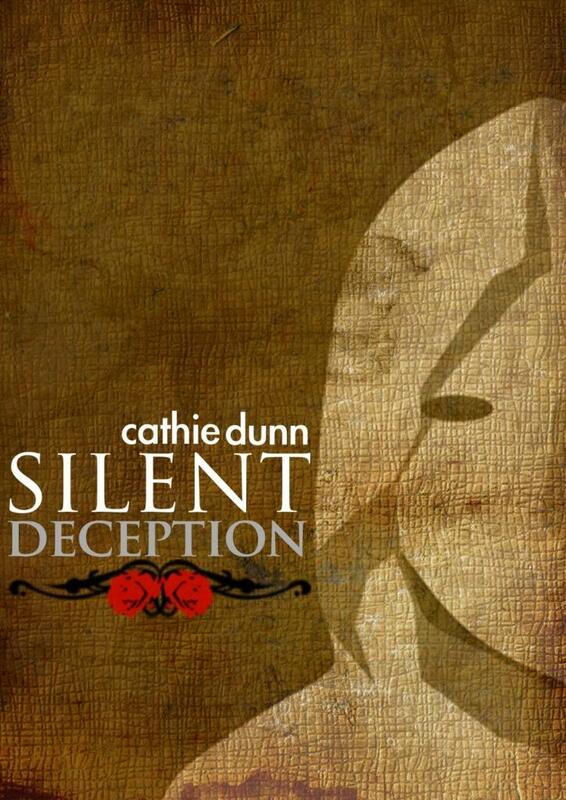 This entry was posted in Author interviews, Historical Fiction and tagged author interview, Cathie Dunn, Crooked Cat Publishing, Dark Deceit, Highland Arms, historical fiction, historical novel, history, Silent Deception, writers by nessafrance. Bookmark the permalink. Thanks, Melissa. I am in awe of Cathie, who writes fluently in English when her native language is German! I’m really interested in your book and look forward to hearing more about it. I’m currently knee-deep in typing, copyright issues (!!) and footnote research but hope to put an update on my much neglected blog very shortly! Yours is a fascinating period too. Lots of upheaval. Good luck with your book. 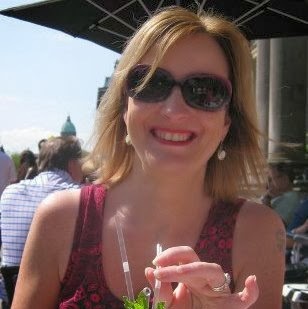 What a lovely interview – and you even mention all my own favourite authors, Cathie! Thank you so much for hosting me today, Vanessa. I very much enjoyed thinking of the answers to your questions. As regards wine, I must admit I prefer French wines to German. You can’t beat a classy Sancerre! My pleasure. It’s good to learn a bit more about you. I’m very partial to Sancerre. The town itself is lovely, too, set on a hill and surrounded by vineyards. Ooh, I didn’t know about the town. Sounds like a wonderful place to visit. Added to the list! My favourite historian is Peter Ackroyd, whose History of Britain is incredibly readableu and beautifully researched. His London The Biography is iconic. In historical fiction I love reading Bernard Cornwell. His Saxon and Arthurian series and superb, as are Simon Scarrow’s Roman legionaire books. Whet ever happened to German wines. I used to love Spatlese Qualitatswein mit Pradikat. In fact Kabinet, Auslese and the rest of the range of whites have all disappeared leaving bulk standard Riesling Blue Nun and Black Tower. The Qualitatswein mit Pradikat were always consistently good and relatively inexpensive. Where have they gone? My fiction reading is liberally interspersed with history. As for German wines, living in France I have to be loyal to my adopted country’s major industry – but I daresay Cathie will have some opinions! Thanks for popping in. 🙂 I have Ackroyd’s Albion. A fascinating account. I do enjoy reading Bernard Cornwell and Wilbur Smith. I love the sense of adventure in historical novels. Ahh, I’m not sure what happened to quality German wines on UK shelves. It’s such a shame because the lack of choice gives them a bad name. We have some beautiful Rieslings. I’d never heard of Blue Nun or Black Tower back in Germany. I think Blue Nun and Black Tower were brands bottled in the UK from bulk carriers from Germany. They were never available outside the UK. It’s a bit like Piat d’Or which no one in France has ever heard of!. I have a Wilbur Smith waiting to be read. I’ve just finished Ackroyd’s book on beneath London. Fascinating! Love the term ‘hobby historian’ and suspect there is a touch of that in me – along with the ‘hobby archaeologist’, especially if I look at my bookcase (or sadly, the one I had to abandon recently). And if you have any questions about Idaho, Cathie, my wife is American and her children are all still in Idaho. She grew up in Utah, but lived in Idaho for ten years. Thanks, Roland, I’ll pass your suggestion on to Cathie. Thank you, Roland. That’s a very kind offer. I’m fascinated by archaeology. My half-sister lives in Idaho and we visited an area called Garden Valley, which is where my story is set. Such beautiful scenery. It’s good to welcome fellow historians to my blog. I took a degree in history and I think I’m even more fascinated by it now than I was then (a long time ago…). Your turn soon, Carol. A fellow historian! Lovely! Don’t think we discussed this when we met at the CC bunfight! I don’t think we got a chance, Carol. Lovely of you to stop by.